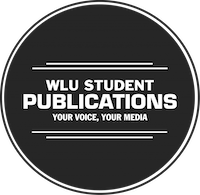 Student Publications is pleased to announce the launch of its newest project, Laurier Student Poll (LSP). Laurier Student Poll is a market research group focusing on student public opinion and consumer behaviour at Laurier. LSP begins its research in January 2012, with the Student Union (WLUSU) presidential election. It will survey students using in-person interviews, with questions customized to client needs. Using studies of approximately 300 to 600 respondents, LSP will publish official findings reports for stakeholders and release additional analyses online. For more information, LSP can be found online at laurierstudentpoll.ca. Questions can be directed to laurierstudentpoll@wlusp.com.